This book is probably the one – of all my readings thus far this year – that I have the most ambivalent feelings about. The second half of the book went much faster for me (reading speed-wise) than the first half. I’m a bit hung up on why this should be so. Is the second half better than the first, or is there just more action as the book approaches its climax just as Inman approaches his home? There is also the not to be underestimated factor that I actually focused on this book during the past 36 hours or so. This likely added some continuity for me when compared with the short spurts of time I grudgingly doled out to it during the first 29 days of the month. As is usually the case, the real answer is a combination of these (and probably unknown other) factors. Bottom line is, though, that I’m finished, and I have to admit I’m a results-oriented guy… :-). I’m not going to give away plot details in this post, so no spoiler alert, but I will say that if you want every mountain, valley, tree, plant, road, rock, river, run, rill, or rivulet in Appalachia described In detail, this is your book. The book is often described as a “Civil War novel,” but I’d have to take exception to that. The Civil War is only the backdrop before which the story of Inman and Ada – and the land of Western North Carolina itself – can be told. The novel is more about the transformation of people. Both Ada and Inman change drastically during the time of their separation. Not just their character changes, but they both undergo the physical changes that only true hardships can effect. Another theme that seems to run through the novel is that of what I guess I’d call “wounded-ness.” Many, if not all of the major characters are wounded in some way, most physically, but some emotionally or psychically as well. 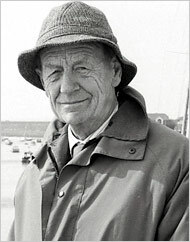 The country itself (here I do not mean the land, but the concept of the nation) is also wounded – something the reader really comes to appreciate as he follow Inman On his journey homeward. It is notable as well that there are several “healers” throughout the book: Ruby (Ada’s friend and ‘savior’), Inman himself, the old goat-herding woman that Inman meets in the mountains, and “The Power of Love” itself when Inman and Ada finally come together. I also was reminded while reading this book that many soldiers from the Civil War walked home (regardless of the enormous distance sometimes involved). Didn’t Ashley Wilkes in Gone With the Wind also walk most of the way home upon his release from the Federal POW camp? I am reminded also that the “only ghost I’ve ever seen” (I won’t retell my personal ‘ghost story’ here, but since it is, after all, Halloween, I’ll include a link to my earlier post describing it in detail) was likely a Civil War soldier repeating his long walk home. Alright, folks…Enough is enough. I’m going to finish this dang book this weekend if it kills me. On a related note: this may be my last post. Yes, I have become addicted to reading a short story in the morning as part of my routine. Now that my “required reading” of short stories for my two book clubs (both meeting today!) has been exhausted, I am turning to a couple other collections I have loaded and ready on my Nook reader. Back to today’s story. ****SPOILER ALERT! **** “In Hiding” is about a “single mom” poet/writer who finds herself beginning a correspondence with an inmate serving a life sentence (he claims to be innocent, naturally) who has poetic ambitions of his own. Though hesitant, she allows the correspondent relationship to slowly grow, and he sends her more and more poetry and excerpts from his diary. She is painted earlier in the tale as a typical low self-esteemed person; her husband – who she was surprised would ever like her in the first place – left her and she is now living (hiding?) in a small town in New York. I guess this is why she willingly engages in this correspondence. She sends the inmate some paperback books and other collections of poetry, and even inquires with various publishers about the possibility of publishing some of his poetry, but without success. Eventually, their correspondence lessens to a trickle and then stops. She speculates that perhaps he has found another correspondent and is actually relieved. Some time later, she receives a form letter from an “Innocents Defense Fund” – or something of the like – requesting financial assistance in the inmate’s interest. She sends $500, receiving another form letter that thanks her. She begins to feel that her contribution was too small and sends another $1,500. Another thank you – another form letter – follows. Short and sweet. I like that how the story ends – or at least what happens next – is left to the reader. 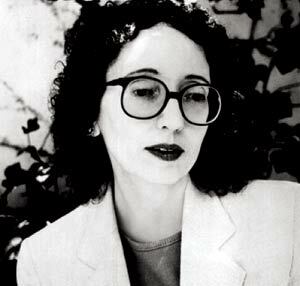 Have you read any Joyce Carol Oates? What do you think of her as a writer? Well, here it is almost the end of October already. 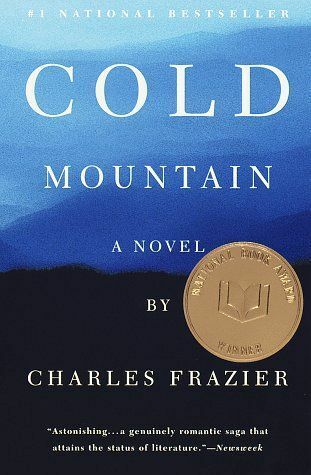 I’ve read most of my required reading for the month, with the exception of having the second half of Cold Mountain yet to finish. Boy, is that book ever slow going for this reader! To divert myself, I’ve begun reading Thomas Hardy’s Two on a Tower. It is proving to be a great story and I can’t wait to finish it and get something written on it for my fellow citizens of Bibliophilopolis. I read all the “major” Hardy novels years ago, and am very much enjoying my reintroduction to him via this book. Upcoming for November, I plan to read another book related to the Civil War, about the West Point class of 1846, which included several key generals in the war. I also plan to read the November selection of my primary book club – P.T. Deuterman’s Darkside. That should be an easy, diverting read for me. I also have Khaled Hosseini’s A Thousand Splendid Suns in the queue. This is a borrowed book, so I’d like to get to it soon, and I really enjoyed the other book of his that I’ve read, The Kite Runner. 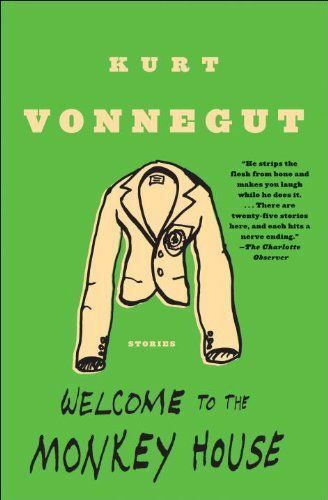 I’ll also have another Vonnegut title assigned by the KVML book club, but I won’t find out what that one is until tomorrow, when we meet to discuss Welcome to the Monkey House. These books, along with finishing Two on a Tower, would give me a count of five for November, one better than my par score of four, and leaving me at 46 total for the year, where I’ll hopefully be able to get my par four in December to make 2010 my most prolific reading year to date. Hurrah! What about you? Are any of these books on your to read list? Have you read any of them already? Let me know your thoughts or suggestions for future reads.. 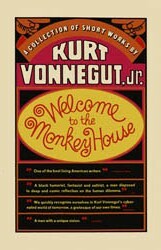 This is the title of yet another of Kurt Vonnegut’s short story collection, Welcome to the Monkey House. It’s the story of an operator for some behemoth-ic government-owned computer called EPICAC. I’m sure this name is intentionally similar to both “UNIVAC” (an actual early generation computing machine) and ipecac – as in the well known emetic, “syrup of ipecac.” The computer operator apparently has the hots for one of his co-workers (described as a “crackerjack mathematician”) who won’t give him the time of day because he’s unromantic and boring. Imagine that – not too different from a current stereotype, huh? By the way, If this story sounds somewhat familiar to you, it may be because it was in part appropriated by Rod Serling and Bernard Schoenfeld for a 1964 episode of the tv series “The Twilight Zone” titled “From Agnes – with Love.” (***Spoiler Alert***) In that story, however, the computer actually falls for the operator, not the girl. I have to say that’s pretty good for a computer, eh? I wonder what Ray Kurzweil’s cyber poet would think of that? Would it give up and unplug itself? Anyway, things proceed swimmingly and the operator begins to think about marriage. After talking with EPICAC and explaining the situation (“what’s marriage?”), the machine agrees that Pat is a worthy candidate for matrimony and says “I’m ready whenever she is.” The operator is taken aback and tries to explain to the computer the impossibility of such a marriage (sprinkling in a few lies to make his case more palatable to his “friend” the machine – he says he is made out of protoplasm and will last forever, and says a woman cannot love a machine – that it’s fate, which he also has to define) In the end, the machine “can’t go on” (“I don’t want to be a machine. I don’t want to think about war.” – the latter is his primary function) and sort of burns itself out when “left on” overnight by the operator (nothing like that tight government security, huh?). The operator is fired from his job for his neglect, but also cleans up many rolls of printed tape (this is how EPICAC communicated with its users) from the room. 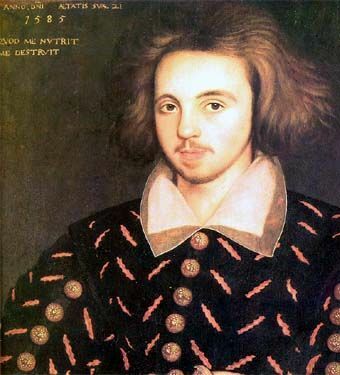 He discovers that it contains a going away present from the computer: 500 years of anniversary poems for him to give his wife. How sad. I felt a pity for the machine not too dissimilar to that which I felt for Frankenstein’s monster when reading that classic a couple months ago. Have you read this story? Do you remember the “classic” Twilight Zone episode? 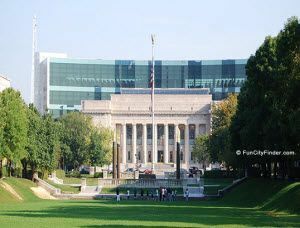 Today’s editorial page of the Indianapolis Star contains a few paragraphs urging us to become supporters of the IMPCL (Indianapolis Marion County Public Library). With economic conditions being what they are, it is no surprise that public libraries are also feeling the pinch of budget-tightening measures. Some changes have already been made, predominantly in the reduction of operate hours for libraries in the IMPCL system. I personally have often benefited from one of the Friends’ programs. They organize a bi-monthly “Secondhand Prose” book sale at the Library Services Center, where the public can buy used, donated, or “withdrawn” books from the library at very reasonable cost. (I always leave with a ‘bag of books’). “Friends of the Library” get the benefit of first crack at the inventory at preview sales the night before the sale officially begins. 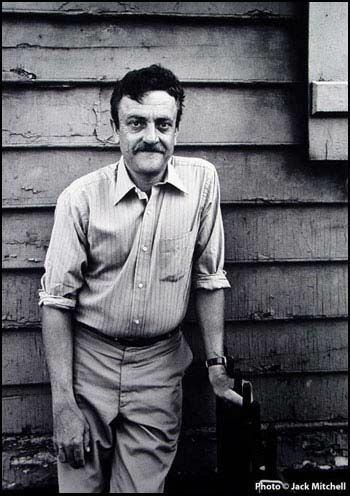 Anyhoo, back to Mr. Vonnegut’s story… David had been for a few years the editor of a small newspaper. It wasn’t a very profitable business, but it was one he loved and he had the freedom of being more or less self-employed. When he “interviews” at the job fair, he impresses to a degree that, even though they don’t currently have a position open of exactly the type he’s after, they offer him a job anyway. Predictably, when he learns what his salary will be, he is seduced by the prospect of a better life for him and his family and accepts. He happily tells his wife, who is skeptical since she knows how much he loved the paper. He convinces her – actually probably just reassures himself – that it is the right decision. In the course of trying to find where the deer is supposed to be – and getting lost again – he learns that the deer is likely to be killed and the venison served at the annual “Quarter Century Club” picnic (for those who have worked at The Works for over twenty-five years). Throughout these events, Potter begins to fully comprehend the cold, thoughtless “machinery” that is the entity known as “The Works” and realizes he no longer wants to be a part of it, despite the cost. He helps intervene on the deer’s behalf, and when it escapes the fence through a gate he follows it, closing the gate behind him. The last line of the story is perfect: “He didn’t look back.” Bravo! I’ve settled into an enjoyable little routine of late. As fate would have it, I live on the opposite side of town from where I work. I have a 20+ mile commute each day, most of it on Indianapolis’s encircling I-465 interstate. Now, if I leave the house to get to work close to my normal hour (8 a.m.) traffic is heavy and thus the commute tedious and stressful (not to mention more time consuming). So, my normal custom is to drive up early, then enjoy a cup of coffee at a shop near my office while reading the paper, checking emails, etc. Lately though, I’ve started my day even earlier, and added reading a Vonnegut short story and maybe a few favorite blogs as well. Somedays I even have time to write a blog post, something I’m trying to be more consistent about doing. Anyway, this morning I knocked off the 16th of Vonnegut’s 25 stories in this collection. Today’s treat was “The Euphio Question” in which three men “discover peace of mind.” Apparently through some vague, unknown process, the hissing static sound emanating from regions of space where there are no known celestial objects (maybe this is the CBR? Cosmic Background Radiation being described?) had, when amplified, an euphoric effect on those who heard it. One of the three men is an unapologetic capitalist and immediately begins thinking of ways to cash in on this effect, many of which involve using the effect to dull the senses and reason of those he is selling something to. An experiment is performed (one of the three men is a scientist) after a consumer-sized box unit is created – with the idea of eventual wholesale. (Vonnegut has to be lampooning television a bit here; the story was written in 1951) Of course the experiment goes wrong (although I guess that depends on one’s viewpoint) and the machine stays on for days, leaving those within range dull and senseless ( but also euphoric!). This is enough to convince all but the unscrupulous capitalist to give up the idea, and one of the men smashes the device with a poker from the fireplace. All in all a great little story. Has anyone else “out there” read it? What did you think of it?